Going Dairy Free has a unique set of circumstances, but that doesn’t mean it can’t still be easy. Check out our Top 10 tips for going dairy free and easing the transition. 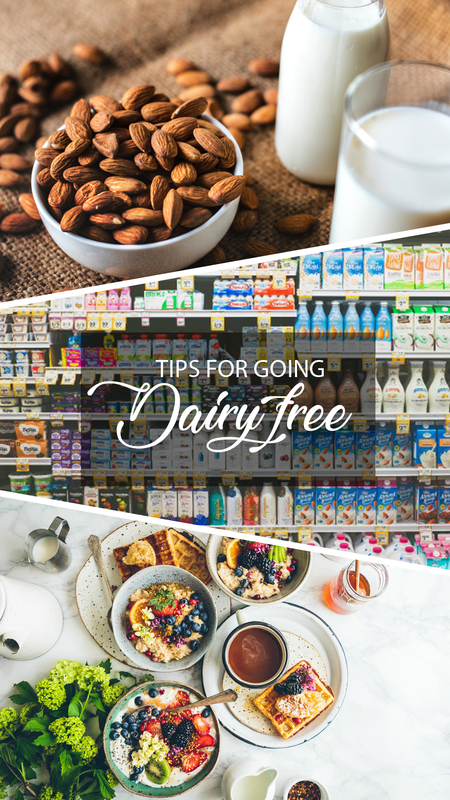 Whether you are dairy free by choice or due to an allergy, there’s definitely ways to help aid in the transition process. For most people, they grew up with dairy products being a huge staple in their diets. To suddenly change and take all that away is scary for some. The thought of never having cheese again makes people believe they can never have things like pizza or mac and cheese. Then, the thought of not have milk or butter, to some means no cookies, cake, brownies, ice cream, and so much more. Luckily, you can still have all those things mentioned above, even if you are dairy free. What does Going Dairy Free mean? Going dairy free means that you stop consuming any dairy products or anything made from or with dairy products. Dairy refers specifically to cow’s milk products. 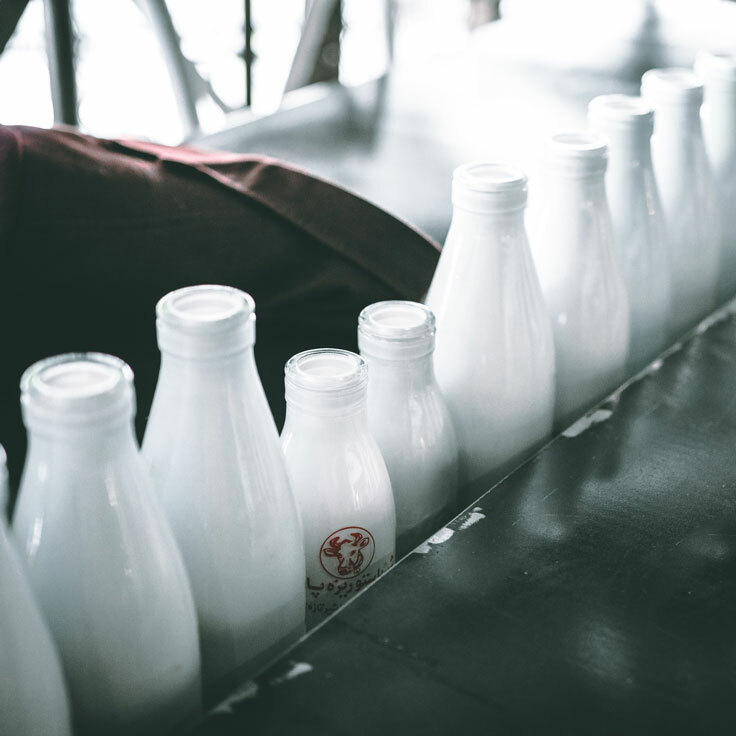 Some people consume other animals’ milks, like goats, for example; however, for labeling purposes, a dairy free diet only refers to cow’s milk. Many people associate eggs with dairy. The good news is eggs are dairy free. Eggs are a byproduct of animals, in the same way that milk is a byproduct of an animal. However, dairy refers to products specifically made by the mammary glands of a mammal, mostly a cow. Unless you are vegan or have an egg allergy, there’s no reason that you cannot continue to enjoy eggs on a dairy free diet. 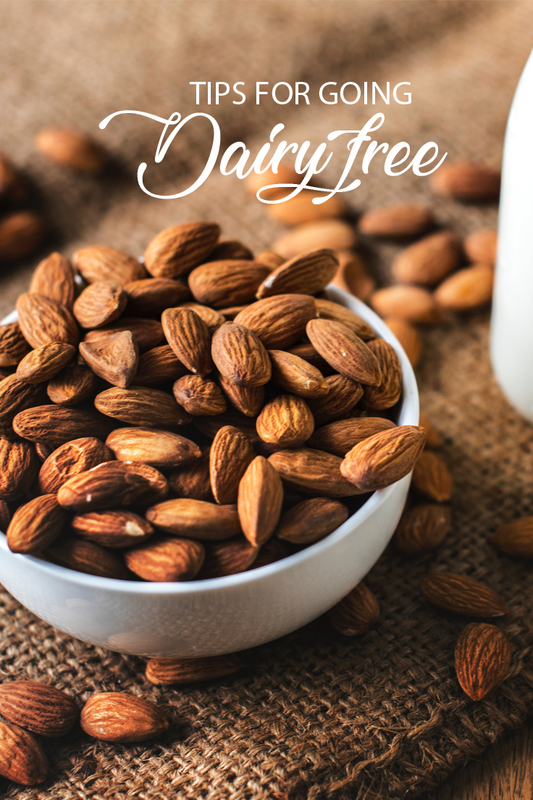 Now that we’ve covered some going dairy free basics, let’s talk about tips for going dairy free. Due to current US federal laws, most items are required to be labeled as “Contains: Milk”. If you have a severe milk allergy, you want to also note things labeled as “may contain”. This means that it’s processed in a facility that also produces milk products and cross-contamination may happen. 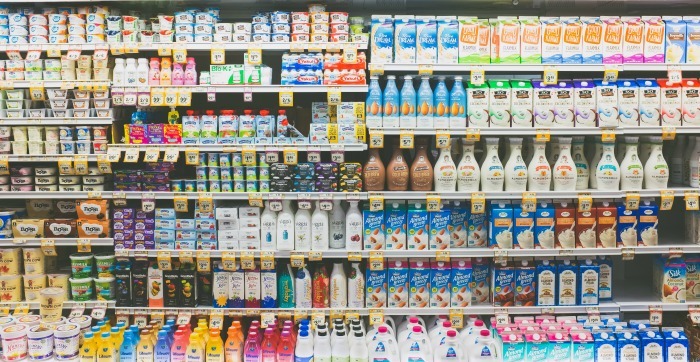 It’s important to know that you want to look for ingredients that can lactose or casein/casinate as these are milk derivatives and don’t also get a contains milk label. 2. Create a list of dairy free meals you already love. 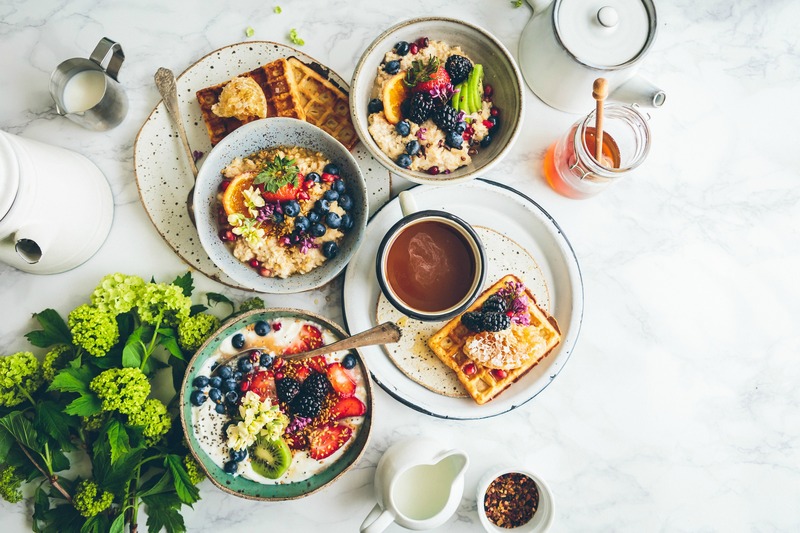 You should try to have a goal of 7-15 meals that you can rotate throughout the month, making it easier for you to always have an idea of a meal you can have. Do the same thing for snacks and breakfasts too! Now that you have your personal go to dairy free recipes, it’s time to start mixing in some new recipes to try to figure out others that your whole family will love. There’s dairy free cookbooks that you can use. Also, hop on Pinterest and search dairy free dinners. Lastly, you can use social media sites like Facebook and type in dairy free in the search bar. Click on groups and search for a group that shares recipes (like this one). All of these are great ways to find new recipes. Also, don’t be afraid to search for vegan recipes since they are also all dairy free. There’s so many misconceptions about vegan food, but it provides some really delicious meals. One thing that is for certain, is that if something is vegan, it’s also dairy free. Vegans do not consume any animals products, so you can be assured, that if it says vegan, it’s safe. This includes looking for vegan restaurants, cookbooks, or meals on sites like Pinterest. If you are in a store, search out for the vegan logo to make you life a breeze. There are so many options now when it comes to vegan cheese, cream cheese, butter and more. Everyone has their favorites brands of everything. That’s why some of us prefer one toothpaste brand over another or have a favorite fast food restaurant that others don’t care for personally. Just because you didn’t like one dairy free cheese substitute, don’t decide to never try another brand. Same goes for dairy free butters and ice creams. All companies have their own recipes and modifications so just because you don’t like one doesn’t mean you can’t still find a great one that you do like. There’s almost nothing worse than getting to a restaurant with a friend or family members (or shoot, even by yourself) and realizing that you can likely only have one or two things on the menu and you don’t even like those things. Before you even head to a restaurant, check their site for dairy free menu items. Most chain restaurants will have everything listed on their site. 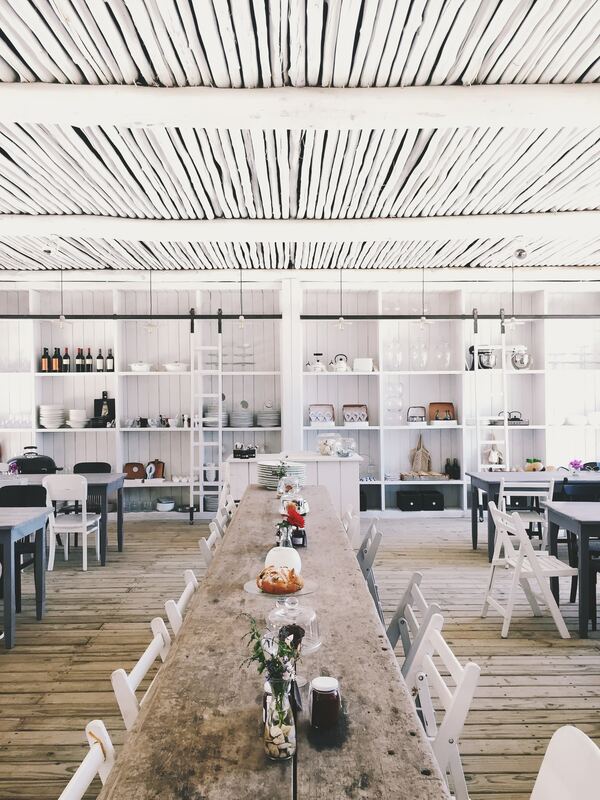 For smaller restaurants, don’t be afraid to call or drop them a message on Facebook. Many restaurants are happy to tell you their allergy-friendly items. Even if you know that a menu item says dairy free, speak to the server about your allergy/food preference once you arrive. The biggest thing about going dairy free and eating out is butter. Many restaurants use butter to cook veggies and meats, in addition to many other dairy ingredients. Ask for your items to be cooked with oil. Sometimes it is hard in a moment to find something that you can enjoy when going free when out in public. Whether you take a package of mix nuts, protein bites, or a homemade cookie with you, always have something available. This is especially true if you have children that are also going dairy free. You want to make sure that there are no melt downs at any given time. Anytime you go dairy free, you need to make sure that you are getting adequate nutrition. When you are going dairy free, you loose the nutritional benefits that you do get from dairy. Dairy products are a good source of calcium, potassium, protein, Vitamins A, D, and B12, riboflavin, niacin, and phosphorus. The best way to do this is to replace these with whole, plant-based foods that are high in these categories. There are so many plant based sources of calcium. At the very least, you should consider a multivitamin that is dairy free and a B12 supplement. If there’s even a slight chance that having dairy around could cause you to go back to it, remove it from your house completely. Make sure you look for hidden dairy ingredients in products too. The easiest way to go completely free is to have no temptations. I wish I could say that going dairy free was sunshine and roses, but the truth of the matter is that it can cause detox like symptoms to your body. These symptoms are similar to the flu. Studies have shown that certain dairy products, cheese for example, have addictive traits to them. So it’s no wonder that you body is go to go through withdrawal. Detox symptoms can last up to 14 days and can include headaches, irritability or mood swings, fatigue, back pain, craving, diarrhea and more. 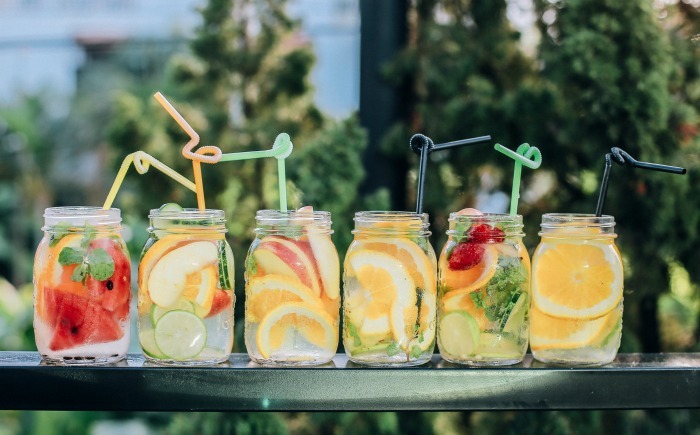 The good news is that once you finish the detox, you will feel much less bloated and have more energy. 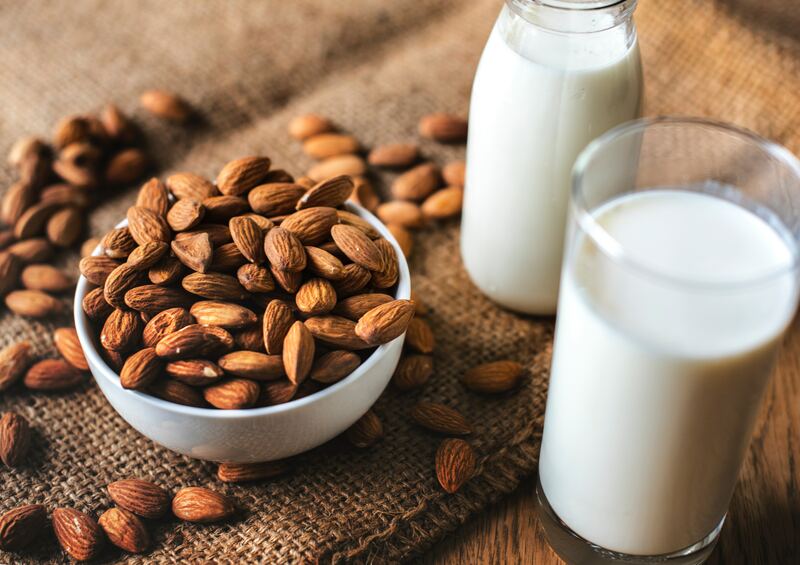 You can lessen the dairy detox symptoms by staying well hydrated (64oz a day or more for an adult), eating a very well balanced diet high in plant based foods, exercise, and sleep. We hope you enjoyed these Going Dairy Free tips. Did something help you that’s not listed here? Or did one of our tips really help you? Leave a comment below and let us know!